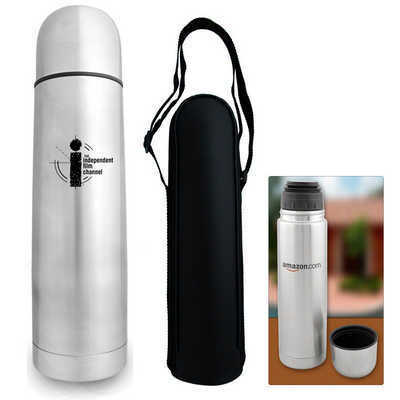 A 500ml double wall constructed thermal flask with a stainless steel interior and exterior. The screw on cap doubles as a small cup or tumbler and there is a leak proof push on/off locking stopper for easy pouring. Individually packaged in a white box. Previously shown as the D786 Colours: Silver, Dimension: 500ml. Price includes : 3 Day Service* Pad Print - One Colour/Location. Setup is included.